I’d heard of Looking for Alaska by John Green from my daughter, Ali who was working in a bookstore when it came out. 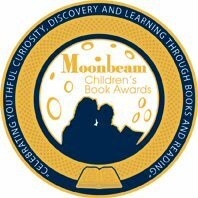 I had it on my must-read-one-of-these-days list long before I heard John Green speak at the SCBWI conference in LA this summer. It was his speech, which blurred the line of truths, lies and fiction which made me move it up to the top of my ever growing pile. I finished it last night, and know that it will stay with me for a long time to come. The story begins with Miles, a sixteen-year old Florida boy about to leave for boarding school. At his mother’s insistence, Miles endures a going away party where, as he expects, almost no one shows up. Obsessed with last words, this only confirms his need to leave his lonely and uneventful life behind to pursue what Rabelais called “The Great Perhaps.” Of course, Miles is also hoping that he’ll meet friends and even have adventures at Culver Creek Boarding School. Looking for Alaska is a rich stew of characters brimming with energy intensity. Green serves up their stories with such potency that once you have a taste of these kid’s lives, you’ll want more. I expected great writing. 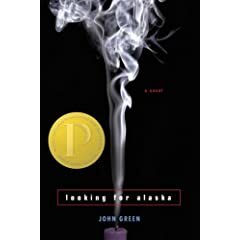 After all, Looking for Alaska won the Michael L. Printz Award for Young Adult Literature. I expected subtle wit and a certain amount of well-drawn teenage angst. What I didn’t expect was to be thrown into the emotional minefield of adolescence. What I didn’t expect was to care so very much about Pudge, The Colonel, and Alaska, the girl they knew, and the one they never could. What I didn’t expect was that a lie could feel, and taste and smell so very real.